Manly United is proud to be working with MWFA clubs to ensure that local kids get the right coaching at an affordable cost to parents. 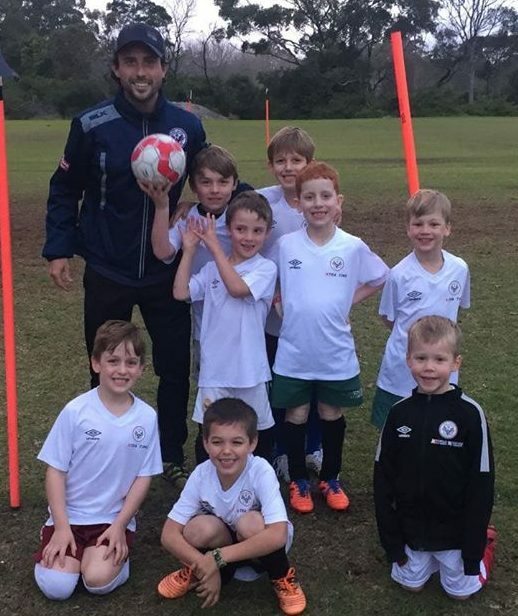 The program aims to develop players and inspire the next generation of footballers to realize their potential and ensure that kids of all abilities are given the chance to obtain a world-class football education by the peninsula’s elite coaches. We’re proud to partner with Pittwater RSL to provide this service to their players. All sessions will be held at Kitchener Park. If a session needs to be cancelled due to wet weather we will contact you via EMAIL and TEXT by 3pm on the day. Your child needs to bring with them a water bottle, jacket, shin pads, boots and a hat. Please note that if you did not pay online by credit card your place is not confirmed and your spot could be forfeited. Please call 9982 6228 to organise payment. We look forward to seeing you for the first session!